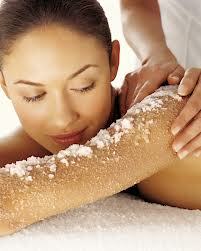 For more shiny skin in the summer I advise you to do the salt mask Salt is a good source for renewal of skin cells. But warns the owners of sensitive skin don’t use it unless you try in a small area . It also helps to drying small cuts in the skin . Here is the recipe salt for the renewal of skin cells. Nose and chin and then rinse the face with lukewarm water mixed with rose water. 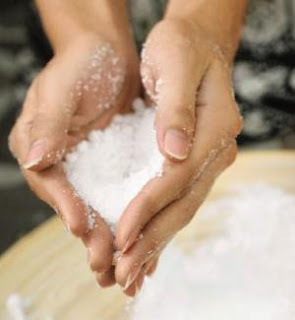 To replace the salt you can use sand while you are at the beach take some sand home and rub elbows area, shoulders, knees and ankles sand has a lot minerals that will help the skin to be soft and clean.